Since its fashion week catwalk debut in 2012, The Mulberry Willow collection has grown and the new collection features my favourite one yet – THE EMERALD WILLOW! This leather beauty is all about its structure, simplicity and attention to detail. I love that this bag is a two in one as it features a clever zip-detached envelope clutch fulfilling two multi-wear functions in one style. You can wear the Tote during the day and detach the clutch for a night out. 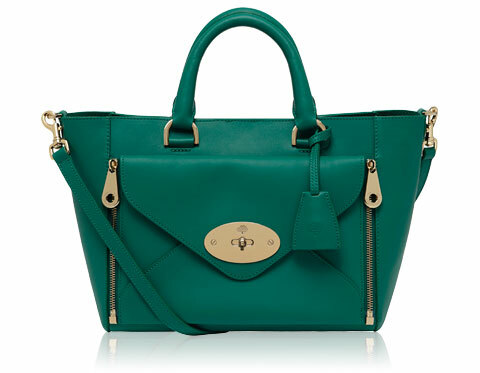 The structured Willow Tote features the signature Mulberry hardware; postman’s lock, zips and a padlock fob. I love the details, range of colours and I love that its simple yet multi-functional, definitely my fave bag this season! !